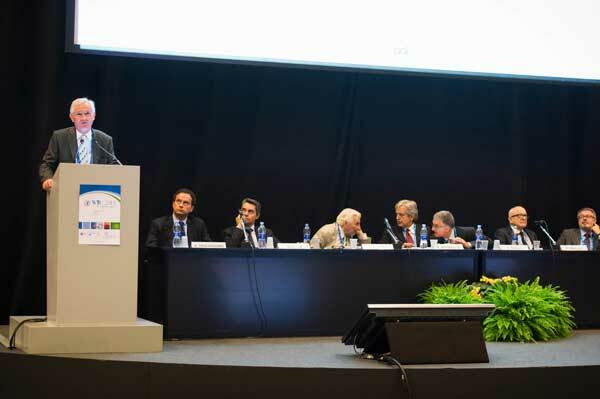 SKF’s sponsorship of the Fifth World Tribology Congress (WTC), held in Turin, Italy, reflects the importance of this science to the world of bearings and systems that live by the principles of friction, lubrication and wear. 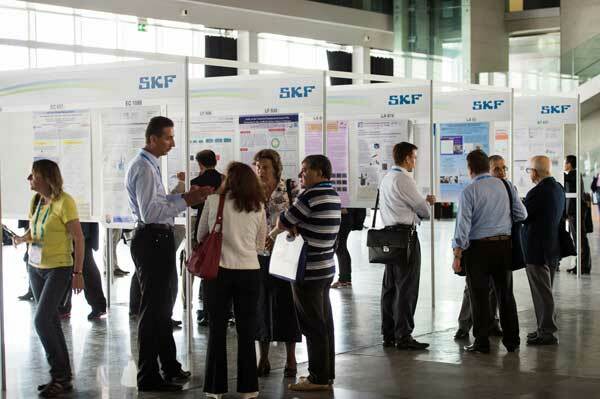 The 2013 congress reflects the broad range of SKF’s collaborative work with customers and universities to improve understanding of rolling bearings that can lead to better performance in real customer applications. 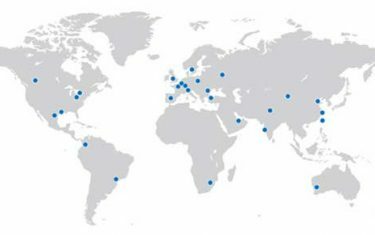 The Fifth World Tribology Congress sponsored by SKF is the venue where progress in the science and engineering of interactive surfaces in relative motion is charted. This major gathering of leading researchers discussed issues that have a major impact on our daily lives since they affect the cars we drive, the transport we use and the machines and equipment that make modern life possible. As bearings are used everywhere, the ever-demanding performance imposed by industry has consequences. Higher speeds, higher temperatures, increased power densities, thinner lubricants, larger bearing sizes, more aggressive environmental conditions or additives and higher vibration levels mean that engineers need to have a better understanding of tribology in bearings to ensure that current and future designs can live up to expectations. Tribology is a crucial field of science for bearings and related systems and can make a positive contribution through reducing friction and wear, helping to conserve energy and preserve the environment, prolonging the life of equipment and cutting the lifetime costs associated with bearing operation. The knowledge obtained from tribology research is applied in the design of all kinds of rolling and sliding bearings. In rolling bearings, tribology knowledge helps with the selection of the lubricants (oils and greases) for an application, with the design of the bearing, the bearing materials and its surfaces, with the friction losses and temperature rise, and finally with the life of the bearing itself and the life of the lubricant and sealing system. At the World Tribology Congress papers have been presented that reflect the broad range of practical and empirical research in which SKF is engaged. 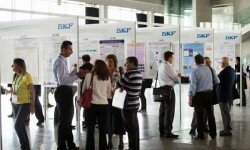 This ranges from solving particular customer issues through the use of advance modelling tools to collaborative research with universities to develop techniques to understand the mechanisms that govern lubricant formation and damage development to scientific research carried out by SKF itself to consolidate its position as a knowledge engineering company. Another customer-oriented research project is covered in Grease lubrication in super-­precision bearings operating at high speed (2), where the authors explain that they are working on a project to improve knowledge of grease lubrication in bearings ­rotating at high speeds with the aim of extending the grease life in these operating conditions. While grease lubrication is one of the most common methodologies employed to lubricate super-precision bearings in machine tool spindles operating at high speeds, its use is limited by the short lifetime of the lubricant when speeds are approaching n x dm values of 2 million. If it is possible to extend grease lubrication to these higher speed values, it could avoid the use of more complex spindle designs and the associated costs of oil-air lubrication. At the World Tribology Congress, SKF’s collaboration with univer­sities demonstrates the benefits to tribology advances. The ­Imperial College London and INSA de Lyon in France have a long history of collaboration with SKF, and three papers, (3) (4) and (5), demonstrate the fruits of this ­collaboration. In Smearing damage in rolling element bearings (3), the research takes a close look at smearing, which is a type of scuffing damage that can occur in rolling element bearings when the speed of ­rolling elements differs from their theoretical speed due to bearing operating conditions. The onset of smearing damage is very difficult to predict as the precise mechanisms are not fully understood. Therefore, this paper attempts to provide further insight into the fundamental mechanisms at play. It combines results from a unique experimental rig that is able to reproduce smearing damage under controlled conditions with numerical results from a transient dynamic model of the same contact. A transient dynamic model of the complete test rig was created in BEAST (see page 21). The authors say the combination of the experimental data and associated numerical predictions enables accurate analysis of the conditions leading to the onset of smearing and subsequently makes it possible to postulate on potential causes of observed smearing damage. In Multi-scale modelling of lubricated contacts: a study on the velocity boundary condition at the wall-fluid interface (4), the researchers explain how a multi-scale approach was developed to integrate nanometre-scale phenomena into macroscopic lubrication models. In particular, the boundary slip condition occurring in highly confined ­lubricant films is characterized using molecular dynamics simulations. Its evolution with the operating conditions and surface material can be described through semi-analytical laws. These are integrated in a modified Reynolds equation including wall slip effects. The Nano-EHL model shows that the film thickness in the centre decreases significantly to compensate for an acceleration of the lubricant flow caused by the occurrence of wall slip at the molecular scale. Modelling the propagation of rolling contact fatigue (RCF) cracks in the presence of lubricant (5) is a paper that relates to an issue that has industrial implications. Rolling contact fatigue (RCF) affects the life of a range of components from gears, rolling-element bearings and industrial rollers in the steel-­making process to railway wheels and tracks. It can occur in both lubricated and dry contacts, where a fluid may be intermittently present. It is suggested that RCF cracks propagate by a fatigue mechanism generated by cyclic stresses from repeated contact loading through rolling and sliding. The exact mechanism that is induced by the repeated contact loading that propagates RCF cracks continues to be investigated. The authors present a study of a one-dimensional model that couples surface deformation, lubricant flow in both the surface film and crack, and crack propagation based on the subsurface stress field. The researchers suggest that coupling the fluid film on the surface with the fluid film in the crack is important in capturing the real physical behaviour of an RCF crack. Therefore, any model that is used in the analysis of RCF cracks in EHL contacts must accurately account for this behaviour or else large discrepancies will be introduced into the prediction of the resulting surface-initiated fatigue at the crack tip. These errors become even more significant when propagation is taken into account, where including the effect of lubricant pressure is vital in attempting to predict the correct propagation rate of cracks under rolling contact fatigue conditions. This work represents one of the first attempts at a fully coupled fluid-solid model including dependent crack growth. The third type of research presented by SKF and its collaborators represents pure scientific endeavours designed to progress the knowledge of tribology issues. The paper Detailed contacts in dynamic simulations – A contradiction? 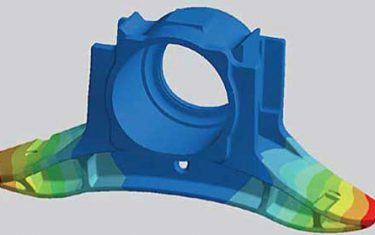 (6) deals with the dynamic simulation of rolling bearings, which is a powerful tool for the study of a variety of phenomena related to the performance and service life of rolling bearings. However, the nature of dynamic simulations, i.e., a large number of time steps that have to be calculated, prohibits the use of very detailed physical models. Detailed models of contact conditions, for example, can give valuable insight in critical situations related to bearing service life. The paper presents a way to combine dynamic simulations with very detailed contact simulations in a user-friendly manner. Prediction of micropitting perform­ance of oil/additive solutions in rolling and sliding contacts (7) is a paper that deals with developing a model that can describe the inter­relations between friction, wear and micropitting (surface distress). Following the recent ­development of a micropitting model that takes into account the operating conditions, surface roughness and mater­ial properties of the contacting surfaces, which has shown that wear and micropitting are two competing phenomena on surfaces operating in marginal lubrication, the authors wanted to extend the model further. The aim was to be able to predict the degree of micropitting damage after a certain number of cycles for various oil/additive solutions and at different relative humidity of the environment. The eventual tribochemical effects of additives and/or water in the oil are assumed to manifest themselves mechanically, and they have been modelled by taking the measured coefficients of wear and boundary friction as input data in the model. A series of micropitting tests with various oil/additive solutions and at different relative air humid­ities have been carried out, and the model has shown a good agreement with the experimental results. 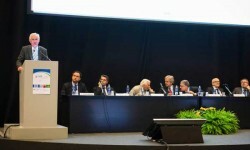 An additional conference, Tribo­Lyon 2013, has been organized in conjunction with the World Tribology Congress, making it an important year for the subject. 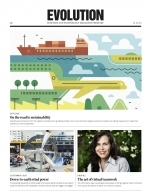 In 2012, SKF invested 180 million euros in research and development, representing 2.5 % of annual turn­over. The development activities resulted in the submission of 660 invention disclosures and 421 new patents in 2012. 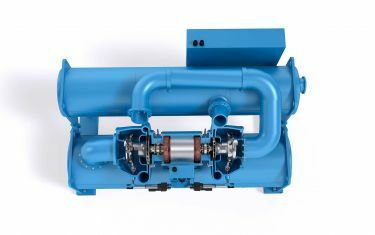 Important innovations have come out as a result of the tribological knowledge in SKF, such as SKF Energy Efficient bearings, NoWear coating, hybrid bearings, brass and polymer cages, super-finished bearings for special applications, surface texturing, grease and lubricant specifications and low-friction seals. Its collaboration with key universities with expertise in tribology now means that Imperial College London hosts one of the SKF University Technology Centres (SKF UTC), opened in January 2010, with a focus on modelling and simulation of tribological systems. Professor Hugh Spikes (see Evolution #2-2013, page 18) leads the UTC team at Imperial College, which comprises three PhD students and two post-doctoral fellows. Spikes has published more than 200 academic papers on tribology and has received several patents in the field. The UTC at Imperial College also formalizes an existing long-standing cooperation with SKF of more than 30 years; the former SKF technical director Stathis Ioannides has been a visiting professor at ­Imperial College since then. SKF and INSA de Lyon have further strengthened their cooper­ation by setting up the SKF Chair on “Lubricated interfaces for the future” at INSA de Lyon. The aim of this six-year Chair is to carry out an upstream, cross-functional study covering the identification, understanding and modelling of the behaviour of lubricants under extreme conditions imposed by the lubricated interfaces. 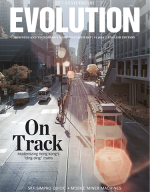 Tribological knowledge is also packaged in many SKF ­prediction tools and software (BEAST, ­SKF Bearing Beacon and printed and online catalogue models). Particular models one can mention include the SKF friction model for ­rolling bearings, the SKF bearing life model (especially the lubrication and contamination factors), the SKF grease life model and the SKF surface distress model, all of which are important tools in the development of innovations and in the prediction of bearing perform­ance in conditions where the surface plays a major role. F. Mandrile, G. Moschetto, S. Vasconi and F. Caprioli, Simulation analysis of the factors influencing the lubrication conditions in a rolling element bearing set for a gas turbine starter motor. F.Greco, J. Wangand, A. van den Kommer, Grease lubrication in super-precision bearings operating at high speed. M.T. Fowell, A. Kadiric, G. Morales-Espejel, L-E. Stacke and S. Ioannides, Smearing damage in rolling element bearings. D. Savio, N. Fillot, P. Vergne, R. Pasaribuand, G. Morales-Espejel, Multi-scale modelling of lubricated contacts: a study on the velocity boundary condition at the wall-fluid interface. R. Balcombe, M.T. Fowell, A. Kadiric, D. Dini, A.V. Olver, Modelling the propagation of rolling contact fatigue (RCF) cracks in the presence of lubricant. L-E. Stacke, D. Fritzson, G. Morales-Espejel, Detailed contacts in dynamic simulations – A contradiction? V. Brizmer, H.R.Pasaribu, G. Morales-Espejel, Prediction of micropitting ­performance of oil/additive solutions in rolling and sliding contacts. A. Hajishafiee, D. Dini, A. Kadiric, S. Ioannides, A fully-coupled finite volume solver for elasto-hydrodynamic lubrication problems with particular application to rolling element bearings. J. Guégan, A. Kadiric, T. Reddyhoff, G. Morales-Espejel, H. Spikes, Friction and lubrication of textured surfaces in elasto-hydrodynamic contacts. J. T. Nyqvist, A. Kadiric, R. S. Sayles and E. Ioannides, Three-dimensional analysis of multi-layered rough surface contacts. V. Brizmer, A. Rychahivskyy, B. Han, Study on anti-micropitting performance of black oxide coating. J. Wang, CFD analysis of drag loss in high-speed bearings. A. W. Awan, M. Hadfield, B. Thomas, C. Vieillard, R. Cundill, An experimental investigation of rolling contact failure within silicon nitride subject to micro surface defects. P. Tesini and T. Adane, Computing structural fatigue damage in rolling bearing cages. G.E. Morales-Espejel, Surface roughness effects in elasto-hydrodynamic lubrication – A review with contributions.